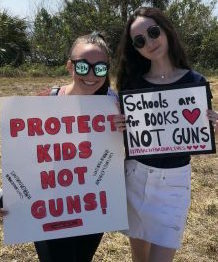 Attending the March for Our Lives protest, sophomores Isabel Burden and Sarah Paylor carry signs in protest to call attention to the government for a reform on guns. “ It’s time for action and for the young people to finally be heard,” Burden said. 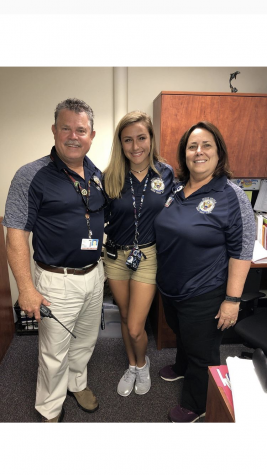 Sophomores Sarah Paylor and Isabel Burden joined thousands of people who marched across the Eau Gallie Causeway on Saturday while calling for gun-law reform. The rally was held in conjunction with similar demonstrations in cities throughout the nation designed to show solidarity with some of the survivors of the mass shooting at Marjory Stoneman Douglas High School in Parkland, Fla.
Demonstrators marched, carried posters and listened to speeches.